One of the lead vocalists in the legendary Bozeman bluegrass group “Laney Lou & the Bird Dogs,” Josh Moore is a seasoned singing veteran in the Bozeman area. With his solo acoustic show, Josh brings a variety of “feel-good” songs to every show with a healthy blend of originals and covers. 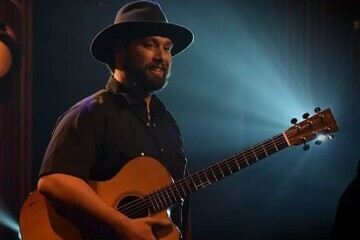 Sometimes described as a musically gifted goofball, Moore is bringing his blend of feel-good folk and bluegrass to the Bozeman Hot Springs.